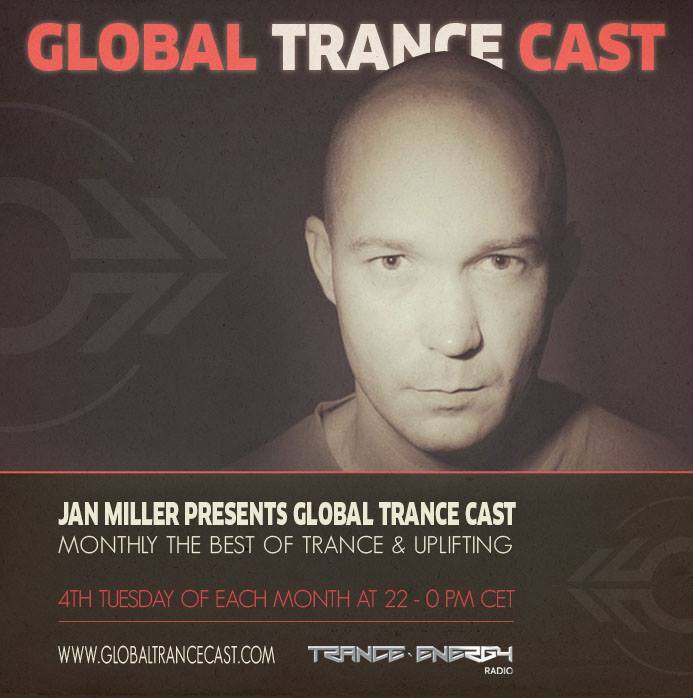 Jan Miller presents Global Trance Cast - monthly the Best of Trance & Uplifting in a two hour mix, broadcasted every 4th Tuesday of each month from 10-0pm CET, exclusive on Radio Trance-Energy. The journey from 128-140bpm will take you through a selection of new tracks, hot tunes currently rocking the global dance floors, upcoming releases and unreleased promo stuff: pumpin beats, emotional melodies and epic trance tunes! Global Trance Cast Episode 047 will be broadcasted Tuesday 23.04.2019 from 10-0pm CET on Radio Trance-Energy.